It took me a long time to commit to owning a pizza stone. It seemed like a luxury for people with big kitchens and lots of time on their hands. It wasn’t until I was 30 that I was actually gifted a stone for Christmas. Suddenly every frozen food I had in the house got thrown in the oven on my stone. I’d leave it on the bottom rack of my aging oven because it cooked things, even indirectly, a little more evenly. Before long, I was getting frustrated because I couldn’t get it clean, and it felt like I was serving people from a “dirty” appliance. I threw it out, can you believe that? I thought I must be doing something wrong. I’ve missed it ever since. So I decided to find out a few things about how to clean one when I bought my next one. As it turns out, it doesn’t ever go back to its pristine, brand-new state. It’s a porous product, so it “eats” what we eat. What is a baking stone made of? There are a lot of different sizes, materials, and heat-tolerances out there. 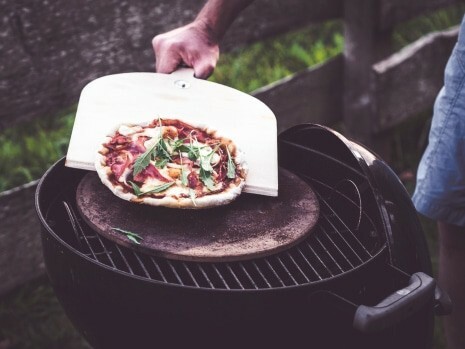 A baking stone (also called a pizza stone) is made of ceramic, thick slabs of cut and pressed Himalayan salt, or a magnesium iron aluminum cyclosilicate composite called Cordierite. Baking stones are meant to help foods get crispier when baked in the oven, and more evenly cooked through. For the home pizza chef, they help mimic the fire-power of the ovens in professional pizza kitchens. 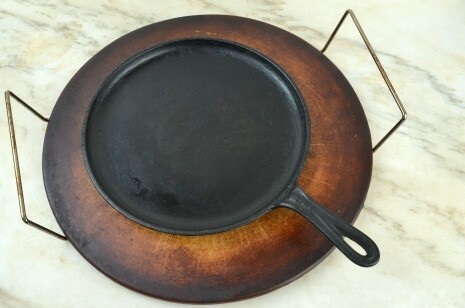 There are also pizza pans out there made of metal or cast iron that don’t do quite the same thing, but are a good option if you want something more lightweight just for pizza. Important Note: Do not add a cold or room temperature baking stone to a hot oven. Adding a stone to a hot oven could crack your stone. It is always best to allow the stone to heat up with the oven slowly. Some types of stones hold up better to fast temp changes, but I wouldn’t risk it with salt or granite/clay baking stones. Every manufacturer has a different process, though, so read up on the instructions that come with the stone, if you have access to it. The trick is to scrape and keep scraping. Once the large particles of food are gone, use a cloth with water ONLY to rub off what remains on the stone. If food is really stuck on bad, you may need to soak the stone in hot water for some time. That’s okay—just don’t use detergent or bleach or the stone will soak up that chemical flavor and smell. 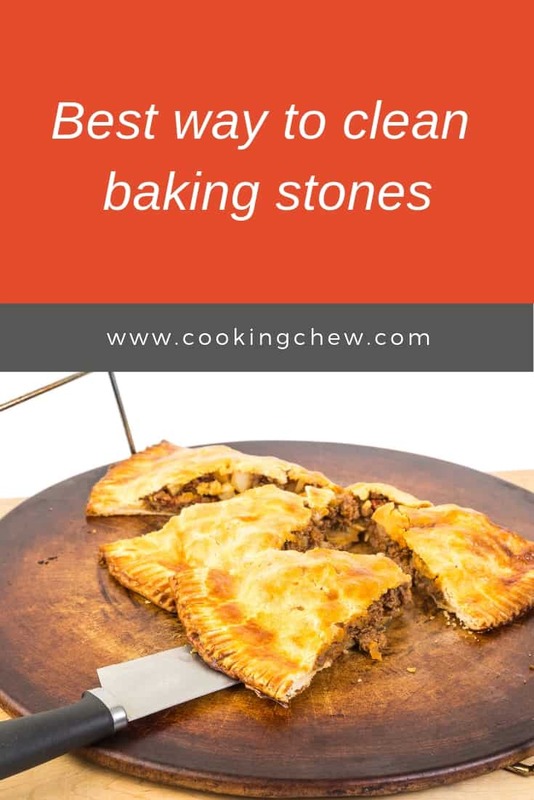 Just make sure your stone is completely dry before putting into the oven, both so it doesn’t crack and so it is capable of crisping up food. How to store a baking stone? Why not just leave in the oven on the bottom rack? You’ll always know where it is, and it will help distribute heat evenly, especially in older ovens. If you’re a compulsive oven-checker, the stone will retain more heat, too. This way it lays flat and out of the way. Or if your oven has one of those in the drawers underneath, those are great for keeping the stone flat and at hand. Be sure to clean off food debris before storing your stone back in its carton or box, though, because they can get moldy. To clean a stone with visible mold, place in a cold oven, turn the heat up to 450F and heat for one hour. Turn off oven and let the stone cool in the oven. Once cool, remove stone and use the steps above to finish the cleaning process. Note that if you have a self-cleaning oven, take your stone out before cleaning it because of the rapid temperature changes during the cleaning process. Avoid dropping the stone, as they will often crack or break. How to season a baking stone? It is not generally required that you season a baking stone but if you do nothing, the first couple of pizzas may stick. This is why there is a simple method to get your new baking stone ready for its first day in a new home – yours! Turn oven temperature to 450 degrees. The miracle of parchment paper works well here too, but we are still testing whether or not the crisping action still happens if the food doesn’t touch the stone directly. Even heating, yes, but the stone is supposed to absorb a bit of moisture also. A baking stone is a great way to cook pizza and bread evenly. They actually require very little maintenance, which makes them a handy kitchen gadget. Just remember that if your baking stone turns dark and discolored that is normal. It just means that it is being seasoned with normal, regular use. Your baking stone may need to be seasoned like a cast iron pan for an optimal nonstick surface. Check the information that accompanies your stone. If you are ready to use a new stone and don’t want to wait to season it before using it for the first time, sprinkle some corn meal onto the surface before adding your pizza or bread to help keep it from sticking to the stone. Don’t use soap or detergent to clean any baking or pizza stone. The porous surface will absorb the soap and transfer the flavor to future foods. Yuck. Don’t put your baking stone in the dishwasher! Some baking stones can be used in a barbecue grill or on a campfire over a grate. Consider your stone a semi-permanent part of your oven. Let it heat up and cool down with the oven. Don’t throw away your pizza stone in a fit of disgust like I did. Hopefully these tips will keep your stone in decent shape, and you will realize that discoloration is normal for any baking stone. I’m enjoying my new stone and I promise to treat this one better. 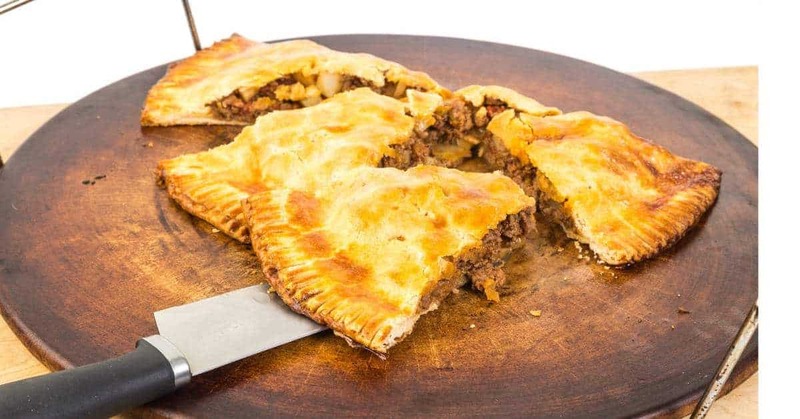 CookingChew.com is a participant in the Amazon Services LLC Associates Program, an affiliate advertising program designed to provide a means for sites to earn advertising fees by advertising and linking to Amazon.com. Amazon and the Amazon logo are trademarks of Amazon.com, Inc., or its affiliates. Additionally, CookingChew.com participates in various other affiliate programs, and we sometimes get a commission through purchases made through our links.